Serious actors. No director. One rehearsal. In a bar. 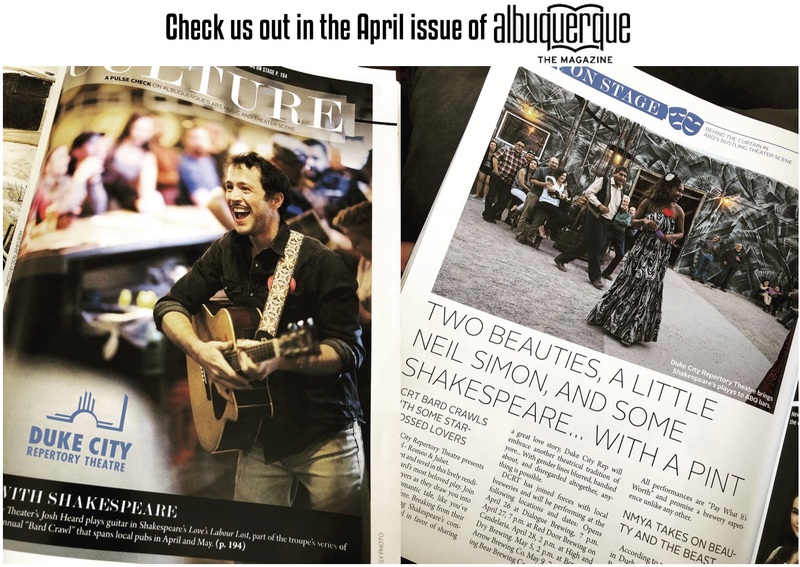 Duke City Rep invites you once again to enjoy Shakespeare as it was done in his day. 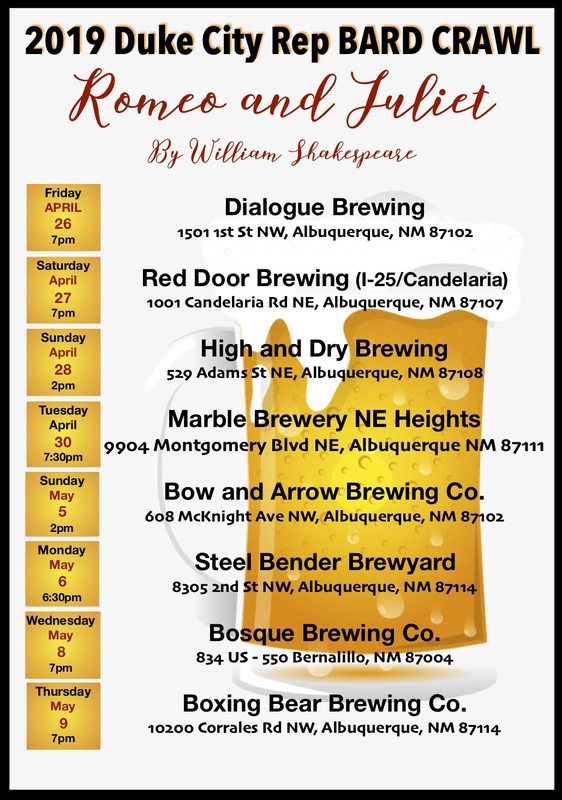 Burque’s breweries house the tragic tale of Shakespeare’s most famous star-crossed lovers. 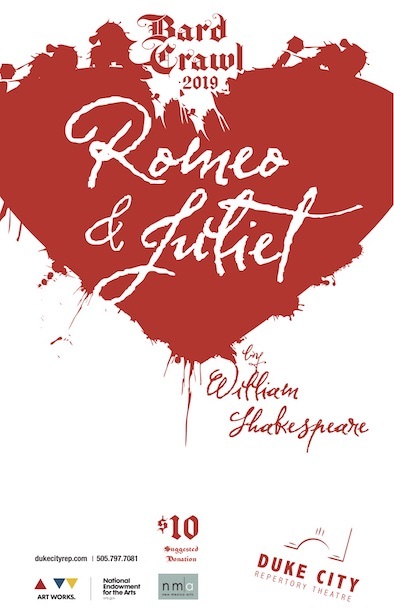 It’s a story of warring families and the doomed, undeniable love of Romeo and Juliet – like you’ve never seen it before! Smartphones, appetites and cat calls are all welcome. No tickets or admission for this show. Venues are 21+, but kiddos are permitted with a guardian. Recommended for ages 13+. Click on the highlighted calendar dates (below-left) to select performance and register!